Brotherhood Room / 12:15 – 2:30 p.m. 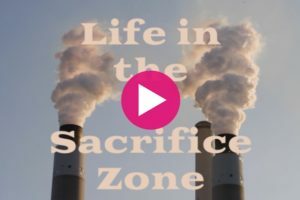 The Lunch-and-Learn program will feature Life in the Sacrifice Zone, a documentary on health problems related to Duke Energy’s Belews Creek coal ash ponds polluting ground water near Walnut Cove. Local artist Caroline Armijo and Walnut Cove residents are expected to join in the discussion to give witness to the problem. Bring a bag lunch and discuss the personal impacts of coal ash.